After stumbling out of the blocks last week against Australia, England were in cruise control for the first half, scoring three tries to lead the Pumas 24-6 – but then they nodded off yet again. The opening 40 minutes were full of attacking intent, high tempo and an awareness of the space on the pitch, Owen Farrell guiding his team-mates around the turf like a circus ringmaster. Joe Launchbury, Billy Twelvetrees and Chris Ashton all scored tries – although there was doubt as to whether the winger grounded the ball before going into touch – and England were in full control. Come the second half, though, the intensity dipped and so did the accuracy, flippant passes not going to hand and turnovers commonplace. Argentina certainly stepped up a gear at the breakdown and England couldn’t get the quick ball they had enjoyed in the first 40, but there was also a lack of fluency to their own game. The All Blacks are in town next week and unless England can maintain their composure and intensity for the full 80 minutes, the visitors could run riot. He’d received a fair amount of criticism this week, but Billy Twelvetrees showed some good touches early on and then crossed for England’s second try in the 22nd minute. The ball had come out from a five-metre scrum and England spotted the acres of space on the other side of the pitch, Twelvetrees receiving the ball and running hard for the line, barrelling over an Argentine defender before touching down. That made the score 17-6 and England’s dominance had been reflected on the scoreboard. He went off midway through the second half, but that could well be down to the shift put in by the lock in those 56 minutes. 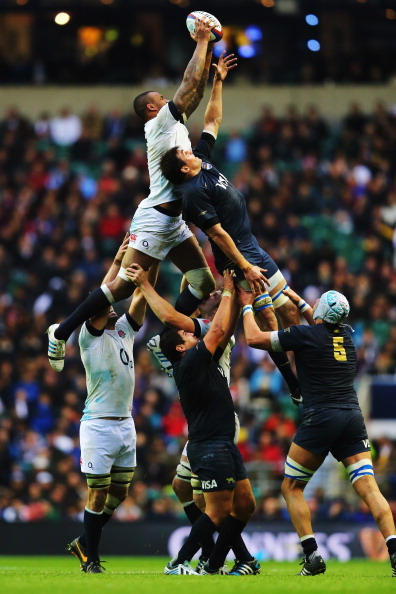 He dominated the lineout, continually carried hard at the Pumas defence and put in several of his trademark crunching hits. He’s a hard man who is sure to come to the fore against New Zealand in seven days’ time. England made 14 offloads to seven by Argentina, but conceded 11 turnovers to nine. Chris Ashton was England’s top metre-maker with 90 while Mike Brown was second wit 81 and Billy Vunipola third with 48. Argentina full-back Gonzalo Amorosino topped the charts, though, with 102. 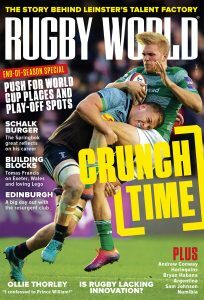 Tom Wood (12) and Chris Robshaw (14) were the only players on either side to hit double figures for their tackle count. 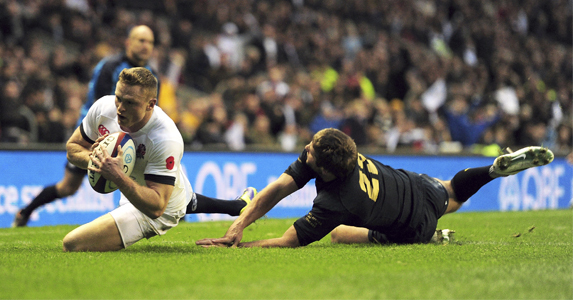 England – Tries: Launchbury, Twelvetrees, Ashton, Morgan. Cons: Farrell 3, Flood. Pen: Farrell. Argentina – Pens: Sanchez 3, Bosch.